Boardwalk Empire is an American period crime drama television series created by Terence Winter and broadcast on the premium cable channel HBO. The series is set in Atlantic City, New Jersey, during the Prohibition era and stars Steve Buscemi as Nucky Thompson. Winter, a Primetime Emmy Award-winning screenwriter and producer, created the show, inspired by Nelson Johnson's non-fiction book Boardwalk Empire: The Birth, High Times, and Corruption of Atlantic City, about the historical criminal kingpin Enoch L. Johnson. The pilot episode was directed by Martin Scorsese and produced at a cost of $18 million. On September 1, 2009, HBO picked up the series for an additional 11 episodes. The series premiered on September 19, 2010, and its run of 56 episodes over five seasons, ended on October 26, 2014. Boardwalk Empire received widespread critical acclaim, particularly for its visual style and basis on historical figures, as well as for Buscemi's lead performance. The series received 57 Primetime Emmy Award nominations, including two for Outstanding Drama Series, winning 20. The series also won the Golden Globe Award for Best Television Series – Drama in 2011 and two Screen Actors Guild Awards for Outstanding Performance by an Ensemble in a Drama Series in 2011 and 2012. Boardwalk Empire is a period drama focusing on Enoch "Nucky" Thompson (based on the historical Enoch L. Johnson), a political figure who rises to prominence and controls Atlantic City, New Jersey, during the Prohibition period of the 1920s and 1930s. Nucky interacts with historical characters in both his personal and political life, including mobsters, politicians, government agents, and the common folk who look up to him. The federal government also takes an interest in the bootlegging and other illegal activities in the area, sending agents to investigate possible mob connections a well as Nucky's lifestyle—expensive and lavish for a county political figure. The final season jumps ahead seven years, to 1931, as Prohibition nears its end. Steve Buscemi as Enoch "Nucky" Thompson (seasons 1–5) – the corrupt treasurer of Atlantic County and its most powerful political figure. Based on the Atlantic City political boss Enoch L. Johnson. Michael Pitt as James "Jimmy" Darmody (seasons 1–2) – Nucky's onetime protegé, an honor student who left Princeton to serve in World War I; works briefly for Nucky before striking out on his own into organized crime. Kelly Macdonald as Margaret Thompson (seasons 1–5) – a young widow and mother who turns to Nucky and becomes his mistress, and later his wife. Michael Shannon as Nelson Van Alden / George Mueller (seasons 1–5) – a former Prohibition Agent on the run. Under the alias "George Mueller," he is a bootlegger in the Chicago area working as the muscle for Dean O'Banion's organization, as well as Johnny Torrio's organization. Shea Whigham as Elias "Eli" Thompson (seasons 1–5) – Nucky's younger brother and sheriff of Atlantic County, who later works as part of Nucky's organization and later Al Capone's organization. Based on Alf Johnson. Aleksa Palladino as Angela Darmody (seasons 1–2) – Jimmy's wife and the mother of his young son. Michael Stuhlbarg as Arnold Rothstein (seasons 1–4) – a powerful New York gangster who does business with Nucky. Charlie Luciano, Meyer Lansky, and Benjamin Siegel work for him. Stephen Graham as Al Capone (seasons 1–5) – a violent Chicago gangster who is the right-hand man of Chicago crime boss Johnny Torrio's. Vincent Piazza as Charles "Lucky" Luciano (seasons 1–5) – a New York gangster and associate of Rothstein's. Paz de la Huerta as Lucy Danziger (seasons 1–2) – Nucky's former mistress. Michael Kenneth Williams as Albert "Chalky" White (seasons 1–5) – a powerful African-American gangster in Atlantic City. Anthony Laciura as Edward Anselm "Eddie" Kessler (seasons 1–4) – Nucky's loyal butler. Paul Sparks as Mieczyslaw "Mickey Doyle" Kuzik (seasons 1–5) – an Atlantic City bootlegger. Dabney Coleman as Commodore Louis Kaestner (seasons 1–2) – Nucky's mentor and predecessor in Atlantic City; Jimmy's father. John Ellison Conlee portrays a young Commodore in the season 5 flashbacks. Jack Huston as Richard Harrow (recurring season 1; regular seasons 2–4) – a former Army marksman who allies with Jimmy. Disfigured in the war, he wears a tin mask over half of his face. Gretchen Mol as Gillian Darmody (recurring season 1; regular seasons 2–5) – Jimmy's mother and Nucky's longtime friend. Charlie Cox as Owen Sleater (recurring season 2; regular season 3) – an IRA volunteer who works for Nucky and has an affair with Margaret. Bobby Cannavale as Gyp Rosetti (season 3) – a ruthless gangster who challenges Nucky. Ron Livingston as Roy Phillips (season 4) – a Pinkerton detective who poses as a wealthy out-of-town businessman who gets involved with Gillian Darmody in order to prosecute her for murder. Jeffrey Wright as Dr. Valentin Narcisse (seasons 4–5) – a Harlem - based philanthropist, Doctor of Divinity, and follower of Marcus Garvey's, who plans to take over the heroin trade in Atlantic City. The character was inspired by Casper Holstein. Ben Rosenfield as Willie Thompson (recurring season 4; regular season 5) – Eli's son, a Temple University student and later a lawyer with the Justice Department. Anatol Yusef as Meyer Lansky – a young Jewish gangster who is a protégé of Rothstein's. Ivo Nandi as Joe Masseria – leader of the New York mafia and Luciano and Rosetti's boss. Kevin O'Rourke as Edward L. Bader – mayor of Atlantic City. Geoff Pierson as Walter Edge – US Senator who thwarts some of Nucky's plans. Erik LaRay Harvey as Dunn Purnsley – a Baltimore criminal who works for Chalky White's organization. Heather Lind as Katy – a servant of Nucky and Margaret's. Dominic Chianese as Leander Whitlock – the Commodore's long serving lawyer and eventually an adviser to Jimmy and Gillian. Julianne Nicholson as Esther Randolph – Assistant US Attorney prosecuting Nucky for electoral fraud and murder. Peter Van Wagner as Isaac Ginsburg – Nucky's lawyer who influences him to take his lawsuit to the federal level. David Aaron Baker as Bill Fallon – Arnold Rothstein's lawyer. Stephen Root as Gaston Means – a forger, swindler, and murder suspect who became a Special Investigator for the United States Department of Justice. Brian Geraghty as James Tolliver – a Federal Bureau of Investigation agent who begins to investigate Nucky. Stephen DeRosa as Eddie Cantor – a world-famous vaudeville star. James Cromwell as Andrew W. Mellon – United States Secretary of the Treasury. Christopher McDonald as Harry Daugherty – Attorney General of the United States. William Forsythe as Manny Horvitz – a Philadelphia gangster. Erik Weiner as Agent Eric Sebso – Van Alden's partner. William Hill as Alderman George O'Neill – one of Nucky's political cronies. Robert Clohessy as Alderman Jim Neary – one of Nucky's political cronies. Max Casella as Leo D'Alessio – a small-time Philadelphia gangster. Edoardo Ballerini as Ignatius D'Alessio – Leo's brother and a small-time gangster. Nick Sandow as Waxey Gordon – a Philadelphia gangster and associate of Rothstein's. Billy Magnussen as Roger McAllister – Gillian Darmody's lover. Meg Chambers Steedle as Lillian "Billie" Kent – A New York showgirl and Nucky's mistress. Eric Ladin as J. Edgar Hoover – 1st Director of the Federal Bureau of Investigation. Wrenn Schmidt as Julia Sagorsky – Richard Harrow's girlfriend and then wife, and Tommy Darmody's guardian. Natalie Wachen as Lenore White – Chalky's wife. Brady and Connor Noon as Tommy Darmody – Jimmy and Angela's son. Lucy and Josie Gallina as Emily Schroeder – Margaret's daughter. Declan and Rory McTigue as Teddy Schroeder – Margaret's son. Nisi Sturgis as June Thompson – Eli's wife and mother of their eight children. Chris Caldovino as Tonino Sandrelli – Gyp's right-hand-man; works for Joe Masseria. Adam Mucci as Deputy Hollaran – Deputy of Atlantic City under Eli Thompson; worked as Sheriff for 9 years. Christiane Seidel as Sigrid Mueller – Nelson Van Alden/George Mueller's wife. Joseph Aniska as Agent Stan Sawicki – a corrupt Atlantic City prohibition agent paid off by Nucky Thompson. Glenn Fleshler as George Remus – Ohio bootlegger and associate of Nucky Thompson's. Margot Bingham as Daughter Maitland – Onyx Club performer and jazz singer. Peter Claymore as Peter – Arnold Rothstein's personal bodyguard. Tracy Middendorf as Babette – owner of Babette's Night Club. Domenick Lombardozzi as Ralph Capone – Chicago mobster and Al Capone's older brother. Morgan Spector as Frank Capone – Al Capone's older brother. Arron Shiver as Dean O'Banion – Chicago bootlegger and leader of the North Side Gang; rival of Al Capone's. Mark Borkowski as Paul Sagorsky – alcoholic war veteran and Julia Sagorsky's father. Emma Holzer as Edith Thompson – Eli and June Thompson's oldest daughter. Christina Jackson as Maybelle White – Chalky and Lenore White's elder daughter; an aspiring poet. Patricia Arquette as Sally Wheet – owner of a speakeasy in Tampa, Florida and of a bar in Cuba. Joseph Riccobene as Frankie Yale – Brooklyn gangster. Katherine Waterston as Emma Harrow – Richard Harrow's twin sister. Will Janowitz as Hymie Weiss – Chicago gangster, and second in command to Dean O'Banion and the North Side Gang. Emmy Award-winner Terence Winter, who served as executive producer and writer on the HBO series The Sopranos, was hired on June 4, 2008 to adapt the non-fiction book Boardwalk Empire: The Birth, High Times, and Corruption of Atlantic City. Winter had already been interested in creating a series set in the 1920s, feeling that it had never properly been explored before. For this reason he decided to focus his adaptation of the book on the section about Prohibition. On September 1, 2009, it was announced that Academy Award-winning director Martin Scorsese would direct the pilot. It would be the first time he had directed an episode of television since an episode of Steven Spielberg's Amazing Stories in 1986. The production would be very ambitious, with some even speculating it would be too large scale for television. "I kept thinking, 'This is pointless. How can we possibly afford a boardwalk, or an empire?'" says creator Terence Winter. "We can't call it 'Boardwalk Empire' and not see a boardwalk." The production would eventually build a 300-foot-long (91 m) boardwalk in an empty lot in Brooklyn, New York, at the cost of $5 million. Despite a reported budget of up to $50 million, the pilot's final budget came in at $18 million. On why he chose to return to television, Scorsese said "What's happening the past nine to 10 years, particularly at HBO, is what we had hoped for in the mid-'60s with films being made for television at first. We'd hoped there would be this kind of freedom and also the ability to create another world and create long-form characters and story. That didn't happen in the 1970s, 1980s and in the 1990s I think. And of course...HBO is a trailblazer in this. I've been tempted over the years to be involved with them because of the nature of long-form and their development of character and plot." He went on to praise HBO by saying, "A number of the episodes, in so many of their series, they're thoughtful, intelligent [and] brilliantly put together...It's a new opportunity for storytelling. It's very different from television of the past." "Scorsese is an actor magnet," commented Winter. "Everybody wants to work with him. I had all these pictures on my wall and I thought, 'I'd really better write some good stuff for these people.'" In casting the role of Nucky Thompson (based upon real-life Atlantic City political boss Enoch L. Johnson), Winter wanted to stray from the real life Johnson as much as possible. "If we were going to cast accurately what the real Nucky looked like, we'd have cast Jim Gandolfini." The idea of casting Steve Buscemi in the lead role came about when Scorsese mentioned wanting to work with the actor, whom Winter knew well having worked with him on The Sopranos. Winter sent the script out to Buscemi, who responded very enthusiastically. "I just thought, 'Wow. I'm almost sorry I've read this, because if I don't get it, I'm going to be so sad.' My response was 'Terry, I know you're looking at other actors'... and he said, 'No, no, Steve, I said we want you.'" 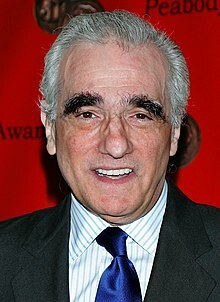 Explained Scorsese, "I love the range he has, his dramatic sense, but also his sense of humor." The casting of Buscemi was soon followed by Michael Pitt, best known for his roles in films such as Murder by Numbers, The Dreamers, and in the television series Dawson's Creek. He was soon joined by Kelly Macdonald, Vincent Piazza and Michael Shannon, who had just received an Oscar nomination for his role in the Sam Mendes film Revolutionary Road. Filming for the pilot took place at various locations in and around New York City in June 2009. In creating the visual effects for the series, the company turned to Brooklyn-based effects company Brainstorm Digital. Says Glenn Allen, visual effects producer for Boardwalk Empire and co-founder of Brainstorm, "It's our most complex job to date. Everything is HD now, so we have to treat it like a feature film." "Anytime you get to work on a period piece, it's more fun," comments visual effects artist Chris "Pinkus" Wesselman, who used archival photographs, postcards, and architectural plans to recreate the Atlantic City boardwalks as accurately as possible. "We got to explore what the old Atlantic City was really like. The piers were one of the toughest parts because every summer they would change—new houses, new advertisements." It took two months for the firm to complete all the visual effects for the pilot. Boardwalk Empire began filming on location at Historic Richmond Town on Staten Island in March 2012. Designed by John Dunn and tailored by Martin Greenfield, Boardwalk Empire's costumes were based on 1920s tailoring books from the Fashion Institute of Technology's research libraries and examples found at the Brooklyn Museum and the Met. The costumes have also been rented from the Daybreak Vintage Company located in Albany, NY which also exhibits at the Manhattan Vintage Clothing Show. Dunn's designs were meticulously detailed, including a collar pin for Nucky's shirts and even going so far as to incorporate specially ordered woolens for suiting. Dunn told Esquire magazine in a September 2010 interview, "With Marty and Terry Winters, I developed the feel for each of the characters. We all wanted it to be very, very accurate and specific to the period.... I don't like to do boring clothing, but you also have to make sure that you're not suddenly putting somebody in something that isn't going to make sense four episodes from now." These tailors were supplied by textile importer HMS fabrics and Gladson ltd.
Martin Scorsese was involved in the filming even before creator Terence Winter. He directed the pilot and established the look of the show, which other directors later emulated for consistency. He is also one of the executive producers of the show. Winter has stated that Scorsese weighed in on the casting decisions and reviewed all of the cuts and dailies. Up until the shooting of the show's first season, Scorsese and Winter would meet every Sunday afternoon to review what went on during the week where Scorsese would have comments and suggestions. Scorsese continued to be creatively involved in the ongoing production, but did not direct any more episodes. Scorsese and Winter were joined as executive producers by Mark Wahlberg, Stephen Levinson and Tim Van Patten. Van Patten had been a regular director on The Sopranos and also served as a regular director for Boardwalk Empire. Lawrence Konner was a co-executive producer. Konner also wrote for the show and had previously been a writer on The Sopranos. Howard Korder and Margaret Nagle served as supervising producers and writers for the first season. The crew were recognized with multiple Primetime Emmy Award nominations for their work on the first season. Korder returned as a co-executive producer and writer for the show's second season and as an executive producer in the third season. The music used for the opening titles is "Straight Up and Down" by The Brian Jonestown Massacre. It was chosen by series creator Winter to create a sense of the "unexpected." The soundtrack is composed of music from the 1890s to 1920s performed by artists such as Regina Spektor, Leon Redbone, Loudon Wainwright III, Martha Wainwright, Catherine Russell, Nellie McKay, Kathy Brier, and Vince Giordano and the Nighthawks Orchestra. Boardwalk Empire Volume 1: Music from the HBO Original Series, featuring music from seasons 1 and 2, was released on September 13, 2011. The soundtrack won the Grammy Award for Best Compilation Soundtrack for Visual Media at the 54th Grammy Awards. To promote the second season, which started on September 25, 2011, the producers paid the Metropolitan Transportation Authority $150,000 to decorate and operate a New York Transit Museum train of four retired New York City Subway Lo-V cars for each weekend in September 2011. The subway cars used were 5290, 5292 (both built in 1917), 5443, 5483 (both built in 1924). The train operated between noon and 6 p.m. and as an express between 96th Street and Times Square–42nd Street Subway on the IRT Broadway–Seventh Avenue Line. While the MTA runs "nostalgia trains" each year, this was the first time they had been used for an advertising tie-in. HBO also sponsored an Atlantic City beautification project with the tag line "Compliments of Nucky Thompson" and paid for eastbound tolls into Atlantic City on the AC Expressway for the weekend of September 24, 2011. Boardwalk Empire has received critical acclaim. For its first and second seasons, The American Film Institute named Boardwalk Empire one of the ten "best television programs of the year." On the review aggregator website Metacritic, the first season scored 88 out of 100, and the second season scored 81 out of 100, both indicating "universal acclaim." The third season scored 76 of 100, and the fourth season scored 77 out of 100, both indicating "generally favorable reviews." In the show's fifth and final season, it scored 83 out of 100. On another review aggregator site, Rotten Tomatoes, the first season received a rating of 93%. Season two received an 88%, the third season an 87% and the fourth season a 97%, stating "Boardwalk Empire continues to benefit from its meticulously realized period trappings, but what keeps the show watchable is its supremely talented ensemble players". The fifth season of the show holds a rating of 90%, with the site's consensus reading: "The final season of Boardwalk Empire is as visually dazzling and well-acted as ever, but it's the emphasis on Nucky Thompson's history that's particularly rewarding this time out." David Hinkley of the New York Daily News awarded the series five stars, saying, "Watching HBO's new 'Boardwalk Empire' is like sitting in your favorite tavern and hearing someone say, 'Drinks are on the house.' Friends, it does not get much better." Paige Wiser of the Chicago Sun-Times called it "... an event not to be missed," and praised Buscemi in particular, calling his performance "fascinating." TV Guide's Matt Roush praised the partnership of Scorsese and Winter, saying it "... brilliantly marries Martin Scorsese's virtuosic cinematic eye to Terence Winter's panoramic mastery of rich character and eventful story," and finished his review by stating, "It's the most purely—and impurely—enjoyable storytelling HBO has delivered in ages, like a movie that you never want to end." Variety's Brian Lowry praised the show for returning network HBO to top form, saying, "This is, quite simply, television at its finest, occupying a sweet spot that—for all the able competition—still remains unique to HBO: An expensive, explicit, character-driven program, tackling material no broadcast network or movie studio would dare touch ... For those wondering when the channel would deliver another franchise to definitively put it on top of the world, Ma, the wait is over: Go directly to Boardwalk." "One of the unexpected joys of Boardwalk Empire, though, lies in the way the show revels in the oddities of its time, peeling back the layers of polite society to reveal a giddy shadow world of criminals and politicians collaborating to keep the liquor flowing," says online magazine Salon's Heather Havrilesky, who went on to call the pilot "breathtaking." Roberto Bianco from USA Today said in his review that Boardwalk Empire was "Extravagantly produced, shockingly violent and as cold and hard as ice, Boardwalk Empire brings us back to the world's former playground at the start of Prohibition—and brings HBO back to the forefront of the TV-series race." The second season received widespread acclaim. Verne Gay from Newsday stated that "Mad Men, of course, remains the King of the Emmys, while Empire nailed the equally prestigious Golden Globe for best drama last winter. But Sunday begins to build the case for Empire, and build it convincingly." Matt Roush of TV Guide stated, "This is a gorgeous piece of storytelling that requires and rewards patience." Brian Lowry stated in his review for Variety that: "A few creative flourishes feel a trifle heavy-handed – starting with Shannon's philandering fed. Unlike Nucky, though, Boardwalk isn't campaigning for anything except the gratitude of a pay-cable audience (and award voters) eager to take refuge in its sordid charms. By that measure, the show doesn't just go down smoothly; it's good to the last illicit, intoxicating drop." Nancy Franklin of The New Yorker considered Buscemi miscast as the central figure in the drama. "Buscemi can’t play that kind of character; even at the age of fifty-two, he looks cagey and restless—not like a guy at the top but like the guy who gets killed when he tries to knock off the guy at the top." The review concludes "Boardwalk Empire” is at great pains to give viewers a sense that they are there, and yet rarely did I feel engrossed in the show. Even if its point is to show you the ugly side of fun, Boardwalk Empire should be much more fun to watch." Alessandra Stanley of The New York Times review states that "surprisingly, given the extraordinary talent and money behind it, Boardwalk Empire falls short. One possible reason is that the star, Steve Buscemi, is hard to accept in the lead role of Enoch Thompson," going on to observe "it takes a lot of squinting to see him as a powerbroker straddling two worlds." On July 14, 2011, for the 63rd Primetime Emmy Awards, Boardwalk Empire was nominated for 18 Primetime Emmy Awards for the first season that included Outstanding Drama Series, Outstanding Lead Actor in a Drama Series (Steve Buscemi), and Outstanding Supporting Actress in a Drama Series (Kelly Macdonald), with Martin Scorsese winning Outstanding Directing for a Drama Series, along with seven other wins at the Creative Arts Emmy Awards. Boardwalk Empire won the Writers Guild of America Award for Best New Series and was nominated for Best Dramatic Series. In addition, the show won the Golden Globe Award for Best Television Series – Drama and Steve Buscemi won Best Actor – Television Series Drama, while Kelly Macdonald was nominated for Best Supporting Actress – Series, Miniseries, or Television Film. The cast won the Screen Actors Guild Award for Outstanding Performance by an Ensemble in a Drama Series in 2011 and 2012, while Steve Buscemi won for Outstanding Performance by a Male Actor in a Drama Series as well in 2011 and 2012, for the first and second season. In 2011, Martin Scorsese won the Directors Guild of America Award for Outstanding Directing – Drama Series for the pilot. Boardwalk Empire was also listed in the American Film Institute's Top Ten List for Television in 2010 and 2011 for the first and second season. Boardwalk Empire also won two awards at the 9th Annual Visual Effects Society Awards. The first for Outstanding Supporting Visual Effects in a Broadcast Program and second for Outstanding Models & Miniatures in a Broadcast Program or Commercial. The former was received by Richard Friedlander (of Brainstorm Digital), Robert Stromberg, Paul Graff and David Taritero; the latter was received by Brendan Fitzgerald, John Corbett and Matthew Conner of Brainstorm Digital. The show's Season One Soundtrack won the Grammy Award for Best Compilation Soundtrack for Visual Media in 2012. For the second season, Boardwalk Empire won once again for the Primetime Emmy Award for Outstanding Directing for a Drama Series for Tim Van Patten for the season finale "To the Lost", along with three other wins at the Creative Arts Emmy Awards. For the third season, Bobby Cannavale won the show's first acting award at the 65th Primetime Emmy Awards for Outstanding Supporting Actor in a Drama Series for his portrayal of Gyp Rosetti, along with four other wins at the Creative Arts Emmy Awards. On its original airing, the pilot episode gained a 2.0/5 ratings share among adults aged 18–49 and garnered 4.81 million viewers. The episode was re-played twice that night, once at 10:15 p.m. and again at 11:30 p.m. Taking these broadcasts into account, a total of 7.1 million Americans viewed the episode on the night of its original broadcast, and is the highest rated premiere for an HBO series since the pilot of Deadwood in March 2004. The season finale was watched by 3.29 million viewers, attaining a 1.3 rating adults aged 18–49. The second-season premiere was watched by 2.91 million viewers, down 39% from the pilot and down 12% from its first-season finale. ^ Kinon, Cristina (September 8, 2010). "HBO's 'Boardwalk Empire' uses New York as a stand-in for Atlantic City, Chicago and Los Angeles". New York Daily News. Retrieved October 21, 2010. ^ Littleton, Cynthia (August 7, 2010). "HBO lays a big-bucks bet on 'Boardwalk'". Variety. Retrieved January 4, 2012. ^ Andreeva, Nellie (September 1, 2009). "HBO orders Boardwalk Empire". The Hollywood Reporter. Retrieved April 21, 2011. ^ Sciretta, Peter (July 9, 2010). "HBO Announces Premiere Date for Boardwalk Empire". /Film. Retrieved July 12, 2010. ^ Goodman, Tim (October 26, 2014). "'Boardwalk Empire' Finale: What Was and Might Have Been". The Hollywood Reporter. Retrieved October 26, 2014. ^ a b Wiser, Paige (September 17, 2010). "HBO hits jackpot with mob series 'Boardwalk Empire'". Chicago Sun-Times. Archived from the original on September 21, 2010. Retrieved September 27, 2010. ^ Stanley, Alessandra (September 16, 2010). "Boardwalk Empire". The New York Times. Retrieved September 2, 2013. ^ Sepinwall, Alan (September 2, 2014). "'Boardwalk Empire' creator Terence Winter previews final season, jump forward in time". HitFix. Retrieved September 2, 2014. ^ Alexander, Caroline (February 2007). "Faces of War Amid the horrors of World War I, a corps of artists brought hope to soldiers disfigured in the trenches". Smithsonian Magazine. Retrieved March 15, 2014. ^ Moaba, Alex (September 5, 2013). "'Boardwalk Empire': Jeffrey Wright On The Real-Life Racketeer Who Inspired His Season 4 Character (VIDEO)". The Huffington Post. Retrieved September 17, 2013. ^ Goldberg, Lesley (February 10, 2012). "'Boardwalk Empire' Adds 'Justified,' 'True Blood' Actor as Recurring Lawman". The Hollywood Reporter. Retrieved May 27, 2012. ^ "2010 Year in Review/2011 Year in Preview: HBO". The Futon Critic. January 25, 2011. Retrieved December 24, 2015. ^ "2011 Ratings Recap: Cable's Scripted Dramas - What's Up? What's Down? What's on Top?". The Futon Critic. January 5, 2012. Retrieved December 24, 2015. ^ "Boardwalk Empire: Season Three Ratings". TV Series Finale. December 4, 2012. Retrieved December 24, 2015. ^ "Boardwalk Empire: Season Four Ratings". TV Series Finale. November 26, 2013. Retrieved December 24, 2015. ^ "Boardwalk Empire: Season Five Ratings". TV Series Finale. October 28, 2014. Retrieved December 24, 2015. ^ "Terence Winter Set to Write Martin Scorsese's Boardwalk Empire". MovieWeb. June 4, 2008. Retrieved August 10, 2010. ^ Goldman, Eric (August 7, 2010). "Scorsese Introduces Boardwalk Empire". IGN. Archived from the original on October 13, 2013. Retrieved August 10, 2010. ^ Andreeva, Nellie (September 1, 2009). "Scorsese to Direct Pilot for HBO's 'Boardwalk Empire'". Back Stage. Retrieved August 10, 2010. ^ Hercules (August 7, 2008). "Scorsese May Direct First TV Show Since AMAZING STORIES!!!". Ain't It Cool News. Retrieved August 10, 2010. ^ a b c d e Lowry, Brian (September 12, 2010). "Review: Boardwalk Empire". Variety. Retrieved September 29, 2010. ^ Johnson, Lynda (August 8, 2010). "Boardwalk Empire Pilot, $18 Million 'Bigs Buck Bet' for HBO". The National Ledger. Retrieved August 10, 2010. ^ Barna, Ben (January 15, 2010). "HBO's 'Boardwalk Empire' Cost $50 Million: How They Gonna Make It Back?". Black Book. Archived from the original on November 18, 2011. Retrieved August 10, 2010. ^ Finke, Nikki (August 7, 2010). "TCA: Why Marty Scorsese Is Now Doing TV". Deadline Hollywood. Retrieved August 10, 2010. ^ Jeffery, Morgan (August 9, 2010). "Martin Scorsese praises HBO". Digital Spy. Retrieved August 10, 2010. ^ a b Sepinwall, Alan (August 7, 2010). "Press Tour: HBO's Boardwalk Empire brings Martin Scorsese to television". Hit Fix. Retrieved August 10, 2010. ^ Mitovich, Matt (January 2, 2009). "Pilot News: Michael Pitt Walks Boardwalk for HBO and Scorsese". TV Guide. Retrieved August 10, 2010. ^ Hit Fix Staff (January 29, 2009). "New Oscar nominee joins Scorsese's HBO pilot". Hit Fix. Archived from the original on January 16, 2010. Retrieved August 10, 2010. ^ Guthrie, Marisa (June 8, 2009). "HBO Not 'Hung' Up on Decision Making". Broadcasting & Cable. Retrieved August 11, 2010. ^ McGrath, Charles (September 3, 2010). "On the Boardwalk, HBO Hangs Out With a New Mob". The New York Times. Retrieved June 25, 2011. ^ a b c Lipkin, Michael (August 4, 2009). "DUMBO biz Brainstorm and Martin Scorsese team up for HBO project 'Boardwalk Empire'". New York Daily News. New York. Retrieved August 11, 2010. ^ Sherry, Virginia N. (April 4, 2012). "Historic Richmond Town serving as set for 'Boardwalk Empire'". Staten Island Advance. Retrieved April 5, 2012. ^ Peskowitz, Josh (September 15, 2010). "The Bespoke Gangster Style of HBO's 'Boardwalk Empire'". Esquire. Retrieved October 21, 2010. ^ Ryan, Maureen (September 14, 2010). "Martin Scorsese and Terence Winter Interview". Collider.com. Retrieved October 5, 2010. ^ "Boardwalk Empire". Emmys.com. Retrieved February 11, 2013. ^ Halperin, Shirley; Ginsberg, Merle (September 25, 2011). "'Boardwalk Empire' Theme: Series Creator Explains Decision to Use Contemporary Music". The Hollywood Reporter. Retrieved August 24, 2012. ^ "Boardwalk Empire (Volume 1 Music From The Hbo Original Series) Soundtrack". CD Universe. Retrieved August 24, 2012. ^ "54th Annual GRAMMY Awards Nominees And Winners". Grammy.com. The Recording Academy. 2012. Retrieved August 24, 2012. ^ a b Iezzi, Teressa (September 2, 2011). "NYC's MTA Takes The 2/3 Train To Yesteryear For HBO's "Boardwalk Empire" Campaign". Fast Company. Retrieved October 2, 2011. ^ Seidman, Robert (December 12, 2010). "AFI Awards Selections Announced: 'The Walking Dead,' 'Breaking Bad,' 'Glee,' '30 Rock' and 'Boardwalk Empire' Among TV Winners". TV by the Numbers. Retrieved February 8, 2011. ^ Gelman, Vlada (December 11, 2011). "AFI's Top 10 of '11: Homeland, Game of Thrones, Justified and Louie Among First-Time Honorees". TVLine. Retrieved October 13, 2013. ^ a b "Boardwalk Empire: Season 1". Metacritic. Retrieved November 27, 2015. ^ a b "Boardwalk Empire: Season 2". Metacritic. Retrieved November 27, 2015. ^ a b "Boardwalk Empire: Season 3". Metacritic. Retrieved November 27, 2015. ^ a b "Boardwalk Empire: Season 4". Metacritic. Retrieved November 27, 2015. ^ a b "Boardwalk Empire: Season 5". Metacritic. Retrieved November 27, 2015. ^ "Boardwalk Empire: Season 4 (2013)". Rotten Tomatoes. Retrieved May 22, 2014. ^ "Boardwalk Empire: Season 5 (2014)". Rotten Tomatoes. Retrieved September 15, 2014. ^ Hinkley, David (September 17, 2010). "'Boardwalk Empire' impressively recounts roaring 20s". New York Daily News. Retrieved September 29, 2010. ^ Roush, Matt (September 16, 2010). "Roush Review: Dazzling Boardwalk: I'll Drink to That!". TV Guide. Retrieved September 29, 2010. ^ Havrilesky, Heather (September 11, 2010). ""Boardwalk Empire": Gangsters return triumphantly to HBO". Salon.com. Retrieved September 29, 2010. ^ Bianco, Robert (September 17, 2010). "HBO builds a mighty, brutal 'Boardwalk Empire'". USA Today. Retrieved September 29, 2010. ^ Gay, Verne. "'Boardwalk Empire' returns in grand style". Newsday. Retrieved September 22, 2011. ^ Roush, Matt. "Matt's Guide to Weekend TV: New and Returning Shows". TV Guide. Retrieved September 23, 2011. ^ Lowry, Brian (September 19, 2011). "Review: 'Boardwalk Empire'". Variety. Retrieved September 19, 2011. ^ Franklin, Nancy (September 20, 2010). "Jersey Boys". The New Yorker. Retrieved September 11, 2016. ^ Stanley, Alessandra (September 16, 2010). "Jersey Shore, the Early Years". The New York Times. Retrieved September 11, 2016. ^ Hibberd, James (July 14, 2011). "Emmy nominations 2011: 'Boardwalk Empire,' 'Game of Thrones' score drama series nods". Entertainment Weekly. Retrieved October 13, 2013. ^ "2011 WGA Awards TV Nominees Announced". Writers Guild of America. December 8, 2010. Archived from the original on February 11, 2012. Retrieved October 13, 2013. ^ "9th Annual VES Awards". Visual Effects Society. February 1, 2011. Retrieved October 13, 2013. ^ Seidman, Robert (September 21, 2010). "Sunday Cable Ratings: Boardwalk Empire Premieres; Rubicon Still Struggling + The Glades, Mad Men, Kardashians & Lots More". TV by the Numbers. Retrieved September 22, 2010. ^ Gorman, Bill (December 7, 2010). "Sunday Cable Ratings: 'The Walking Dead,' 'Boardwalk Empire' Finales Rise; 'Sarah Palin's Alaska,' 'Dexter,' 'The Hasslehoffs' & More". TV by the Numbers. Retrieved December 8, 2010. ^ Gorman, Bill (September 27, 2011). "Sunday Cable Ratings: 'Jeff Dunham' Tops Night, As 'Boardwalk Empire' Premiere Drops; + 'Breaking Bad,' 'Sister Wives,' 'Ice Road Truckers' & More". TV by the Numbers. Retrieved September 28, 2011. ^ For the first season, see "Updated: 'Game of Thrones' Ratings: Season One". TV by the Numbers. June 19, 2011. Archived from the original on July 26, 2017. Retrieved July 26, 2017. For the third season, see "Boardwalk Empire: Season Three Ratings". TV Series Finale. December 4, 2012. Retrieved July 26, 2017. For the fourth season, see "Boardwalk Empire: Season Four Ratings". TV Series Finale. November 26, 2013. Retrieved July 26, 2017. For the fifth season, see "Boardwalk Empire: Season Five Ratings". TV Series Finale. October 28, 2014. Retrieved July 26, 2017.